This is not a new site but as in all things to do with family history, a new insight into a family connection revealed an address which placed the family being researched right in the heart of the East End of London. Such information brings forth a waterfall of new contextual information. 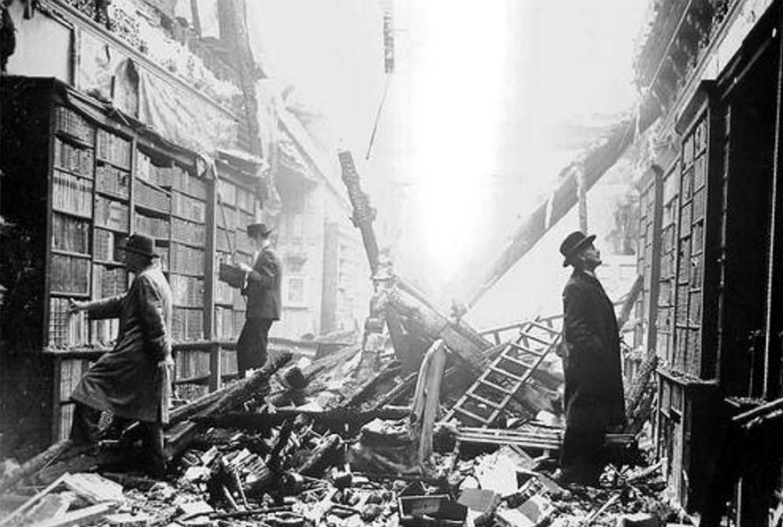 A project called Bomb Site, sponsored by the National Archive, the University of Portsmouth and JISC, the Joint Information Systems Committee, has developed an interactive map, showing the location of every bomb dropped on London during the Blitz, including images and detailed information on each incident. You can make your search by address. The address we were looking for was Nettlewood Rd Streatham. 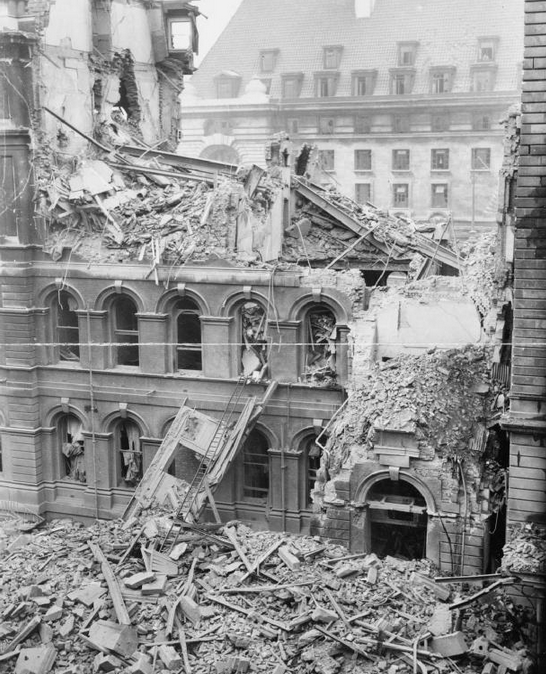 The map showed the aggregate census data for the period of the Blitz, from 7th Oct 1940 to 6th June 1941. To see accurately where the bombs dropped was a sobering moment. When you click the icon, more details are revealed. Any stories or photos connected with the locality of the address can then be viewed. 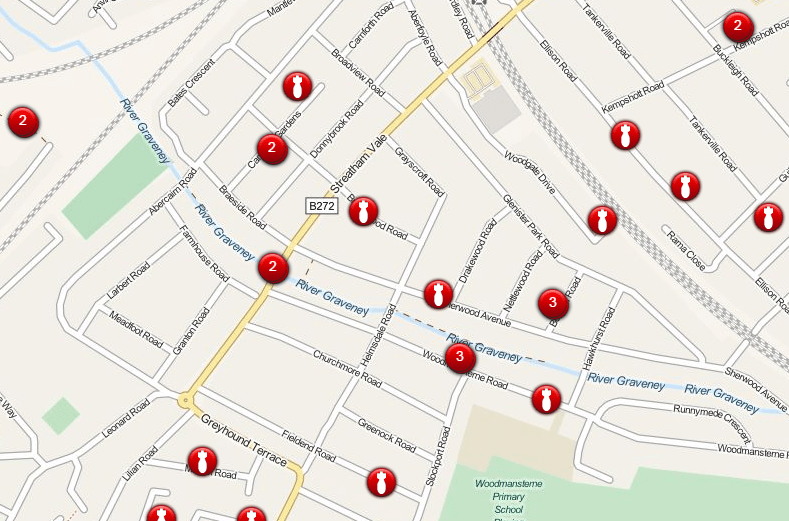 The bomb data is shown on a map. Click on the icon to reveal the details. Whether your WWII connection is with London or not, this is an excellent resource that is constantly being added to and gives a very real and immediate sense of the proximity of the bombs that were dropped and where people lived. The University of California, interdiscipinary study of art, architecture and archaeology alongside the Geo-Archaeological Informations Applications Lab at Arizona University, have developed an international project to do just that. They have created a digital atlas that brings together expertise from many disciplines, there are 10,000′s of archaeological sites mapped, photographs and maps, which you can search at will.